In the USA until 2008, borrowed money generated growth that was at least 50% greater than the amount borrowed. During President Clinton’s years from 1992 to 2000 growth increased relative to debt. The USA’s economy appeared “healthy”. During the same period the price of oil was low. This trend was broken when President Bush took power and the economic decline. From 2000 till 2008 the decline can be related to the increasing price of oil, from $25 per barrel to the record $147 per barrel. When President Obama took over the banking crisis occurred and the price of oil fell. However, after the decline bottomed out at the very end of 2008, the price of oil increased once more to over $100 per barrel by 2011. The ratio of GDP growth to increase in debt sank ever closer to 1:1. This shows that the economic policy of the time was catastrophic. There was no capacity for increasing the wages of the middle class in the USA. It was dissatisfaction with this that Trump exploited and that was decisive for his victory. I am no friend of Trump, but it is completely correct that the USA’s indebtedness cannot continue to grow at the same rate as it did since 2000. Exponential growth requires increased consumption of energy and other resources and we are approaching the limits for some of these. 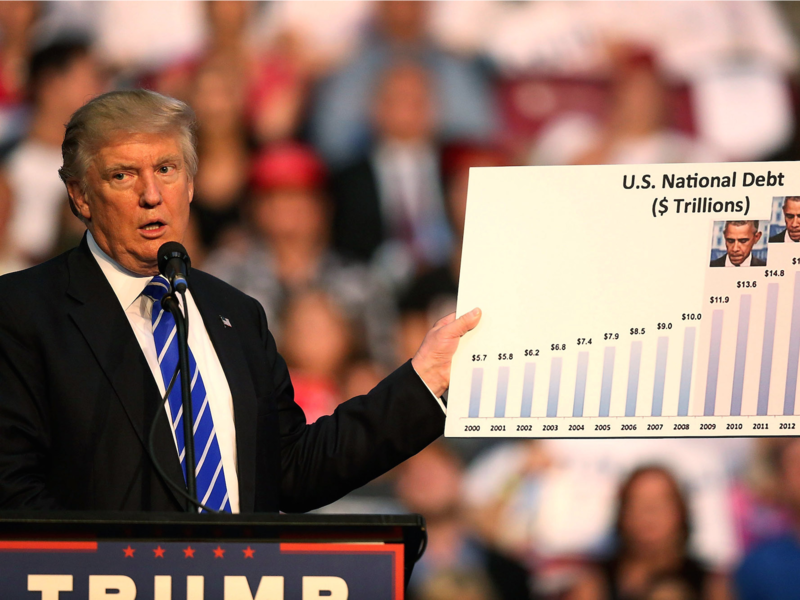 If Trump does not succeed in increasing the ratio of economic growth to debt growth back towards 1.5 then there will not be capacity for increasing the income of the middle class. If the ratio falls below 1.0 then his presidency will be an even greater failure than that of President Obama.